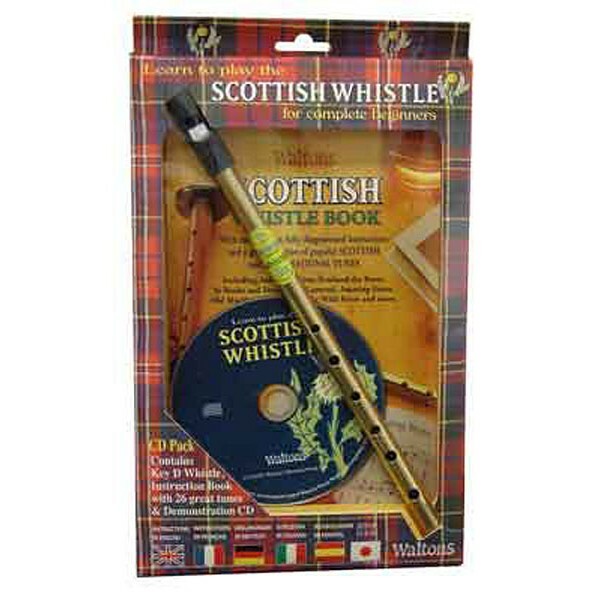 Scottish Tin Whistle + CD + Booklet in the key of D.
These popular whistle kits come in Scottish design, packaged with the Whistle in the key of D, book and CD. 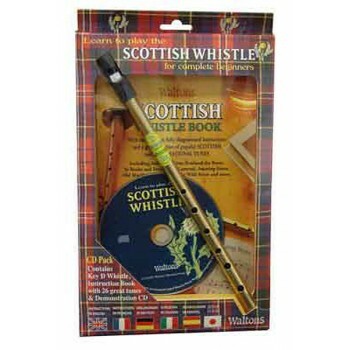 These are terrific packages that are very popular with those wanting to learn the whistle. Each kit comes with a book and has over 20 well known favorites for you to learn.